An Intuitive Artwork by Cheryle Bannon:. She is opening to her dreams and stepping into her own story. 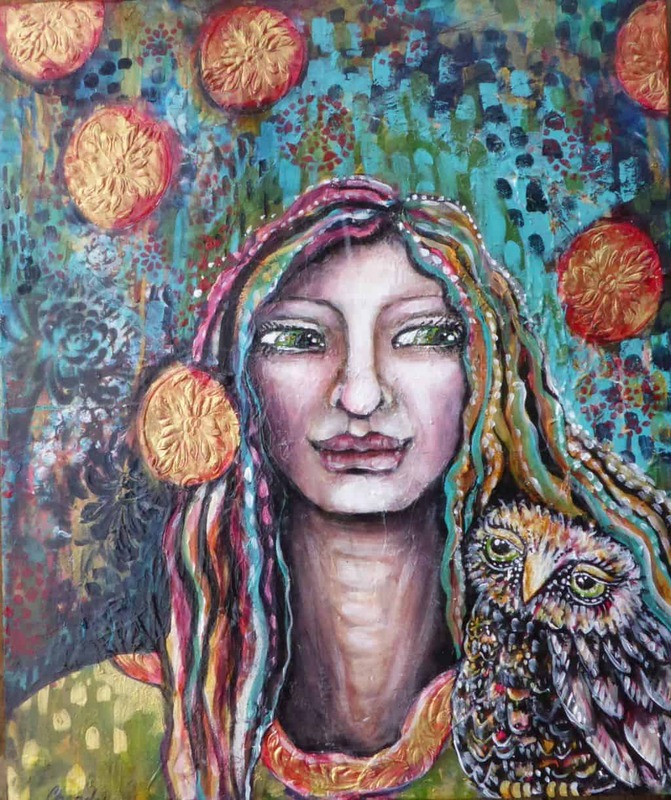 Her owl wisdom guide sits on her shoulder and she knows her path.She knows that the whispers of her soul guidance lead her to where she truly wants to be. Soul Whispers is a story about believing in the dreams that call to you as you sit in the stillness of knowing and trusting the guidance that you carry within you. She is a story of trust and holds the confidence of believing in the magic that spirals around her. She is flowing into her world surrounded by magic, flowers, and possibilities. Her owl guide rests on her flowing skirt and she is content. Life has opened up for her as abundance and potential flow. Soul Whisperer evokes the inner feminine space of trust that inspires us to step into the magic that surrounds us. Carefully packaged to order. Prints are professionally custom printed and shipped directly via my fine art supplier. Please allow approx 2 weeks delivery within Australia and 4-6 weeks internationally. A certificate of authenticity is included.